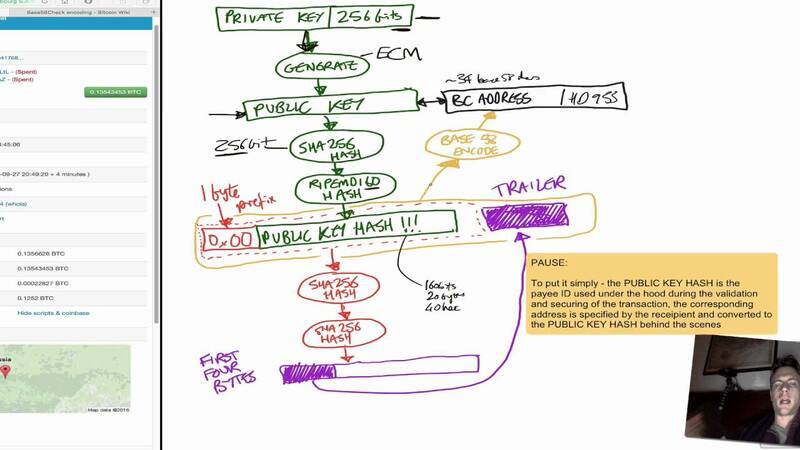 Before we delve into the inner workings of a bitcoin transaction I wanted to explain how the actual bitcoin address is derived from the public key which in turn is derived from the private key. I take through step by step all the steps required to derived the checksums etc and show with a real example of a real bitcoin transaction. Also discuss why checksums are included in Bitcoin addresses in order to eliminate the possibility of characters being corrupted, or modified in transit. This is the cool tool for converted from base 58 encoded value to hex value. Good link talking about base 58 encoding.